Being tucked away in my cozy and warm home, on this cold and rainy day is just one part of Today’s BGD. I’m feeling so fortunate to have the support and push from the people I love and admire most. When I first began writing this blog, it was largely to have a creative outlet, to document all of our home projects, to share in our camping and hiking adventures, and to promote that one can have a full, satisfying life without having to spend a lot money. I spent my afternoon listening to the rain fall, coupled with John Coltrane on my iPad, reading Blog Inc, and making notes and dreaming up plans in my new Day Designer. The iPad was gifted to me by my husband. After watching me blog on my phone and seeing how dedicated I had become, he wanted to show me he was proud and to make it easier for me to write. 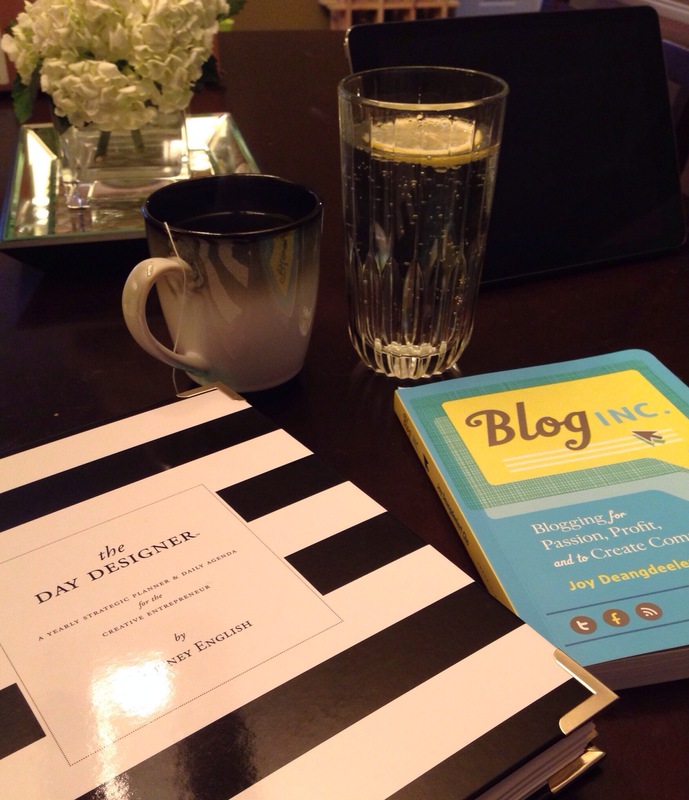 Blog Inc was gifted to me by my friend, Keely. Without her, I don’t know that I would have ever started this project. She has been a consistent source of encouragement and inspiration. The Day Designer was gifted to me by my sister, Domonique. I’ve always wanted to set a good example for my little sister, but sometimes she’s the one pushing me to do better and be better. This new tool has motivated me in a whole new way. I know that these people believe in me, and that makes me feel like I’m in the right place, doing the right thing. The second and most important part of Today’s BGD, is having supportive and loving people in my life. Hon, I know I truly enjoy reading your blog. I told your aunt Terry that I would get her added so that she can be emailed everytime you write on your blog as well. Domonique was so happy to see that you mentioned her for the second time on your blog!! She is so funny. She loves and admires her big sis. I’m so glad you like your present! I’m lucky to have you as my older sis and you always support me in all my ideas and goals and I always want to do the same for you!